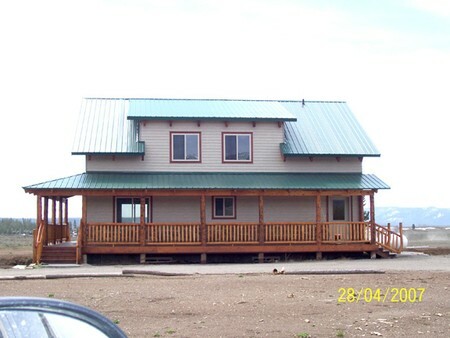 This 3 bedroom, 2 bath newly constructed home has large picture windows looking towards the Tetons and surrounding mountains. Has nice kitchen with a spacious breakfast bar, pantry, and lots of quality kitchen cabinets. Propane forced air furnace and propane stove. The decks are covered for protection from rain and snow. Has large family/game room upstairs, unfinished (approx 1140 sq ft) walk out basement is already insulated, wired, and plumbed for future expansion to your requirements. Nice 1.13 acre lot with room for garage, possible circular drive. Owner will give allowance for appliances. Possible vacation rental potential. Possible winter access.